A small, landlocked country with a troubled past has turned the engine on under the firm leadership of its President, Paul Kagame, and averaged between 5% and 10% GDP growth for two decades, outperforming many neighbouring countries and earning the nickname of could-be 'Singapore of Africa'. The premises to this accelerated growth rest on a heavily-remarked commitment to, and investment in developing the ICT infrastructure that will feed Rwanda’s bound-to-be knowledge economy. In 2011, the UN was already referring to the ICT sector as a super-charging factor of Rwanda’s economy and, in 2015, the country was awarded the 1st place in the continent for ICT development by the World Economic Forum. What we see today are the blossoming results of a plan set out in the early 2000s with the purpose of carving a regional competitive advantage out of a war-torn, geographically disadvantaged country through 1) political discipline, 2) long-term vision, and 3) conspicuous investment in target areas such as agricultural productivity, technology infrastructure, and openness to international trade. Since early 2018, Rwanda has indeed caught the headlines by surprise quantum leaping in the World Bank’s Ease of Doing Business, a globally agreed-upon and go-to standard for business people and policy-makers – jumping to the 41st place globally, particularly thanks to the recent regulation regarding property registration (where it scored 2nd globally, only after New Zealand) and starting a business. Evidence that the country has been pushing the pedal to accelerate development is tangible – and surely Kagame’s frequent international expeditions give away his hunger for delivering and recognition. Whether the country is really ripe for foreign investment can be debatable but the intention of its administration to portray it as such are clear – especially in view of the approaching deadline for Vision 2020. Recently, three heads of state, respectively Mozambique’s President Filipe Jacinto Nyusi, India’s Prime Minister Narendra Modi, and China’s Xi Jinping have been visiting Rwanda to strengthen ties and cooperation. China, who is widely recognised as Africa’s largest trade partner, is behind the construction of over half of the new roads built in the country and we are likely to see further involvement in the region. Despite the criticism towards Kagame’s ability to lure foreign interests and capital, many unquestionable efforts to uplift the country by building capacity are tangible. A firm hand on implementing pro-business laws is proving key to accelerate growth and, in less than two decades, the emphasis on self-made development led the country to rely significantly less on aid (which shrunk to about 17% this year). A Brazilian-Argentinian company, Positivo BGH, recently made it to CNN as it began assembling laptops in the country. A decade of sharp development, where the economy expanded significantly year by year, seems to have moved a deeply fractured country onto an apparently functioning economy. Yet, Rwanda remains a predominantly rural country, where the majority of the population lives out of subsistence farming, limited access to electricity, and with significantly less than $1000 per capita. Packaging economic development into an all-rounded optimistic narrative might be easy and even productive - since it attracts capital and talents - but the complexity and fragmentation of accelerated development should not be underplayed. A growing criticism towards the actual extent and sustainability of socio-economic change is gaining ground, especially in regard to poverty reduction in the agriculture sector. As of today, only about half of total households are electrified, despite the ambitious Rural Electrification Strategy’s target to reach 100% of the population through a combination of on-grid and off-grid power supply. In addition, poor inputs quality, inefficient land distribution, and scarce productivity cripple the potential of the industry that remains the biggest employer in the country. On the flip side, mobile penetration exceeded 75% in 2018 and 4G networks have started being rolled out across the country – partly as a result of a partnership with Korea Telecom Rwanda Network. Data coverage is part of the grand plan to turn the predominantly agriculture-based country into an IT hub for the region and Africa. As observed all across the continent, connectivity fuels the engine of the technology revolution which has been allowing countries to leapfrog time-consuming steps in the development ladder, increase competitiveness in the global market, and bridge the gap with advanced economies. Yet, securing connectivity and access to mobile networks, in a country where the national grid leaves half population without reliable power, still represents a gargantuan endeavour for the government. Poverty reduction, improvements in the educational and healthcare systems, and a better investment climate are but few of the factors that contributed to positioning the country among the most appealing destinations in the continent. Rwanda today is often cited alongside the usual suspects – South Africa, Kenya, Nigeria – and fiscal havens such as Mauritius and Seychelles. Klab, the open space for IT entrepreneurs and home to some of the most prominent tech companies in the country today. KLab was born as a private initiative with the ambition to kickstart the innovative scene in the country. It obtained the support of the government - who provided a free facility to nurture entrepreneurs and create a hub for innovators. Among its success, KLabs boasts startups such as AC Group, Go, and TorQue. KLab is also home to Face the Gorillas, Rwanda’s version of SharkTank, which runs every quarter. 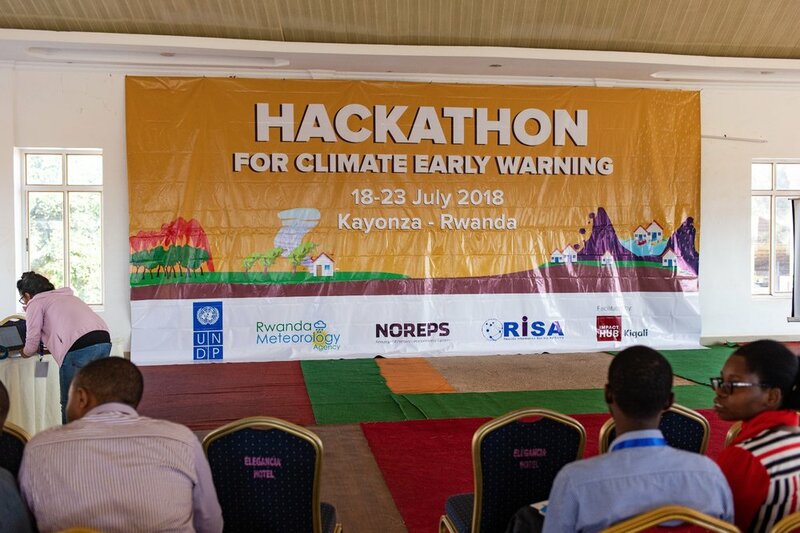 a week-long hackathon (#hackathon4climate) on climate change and early warnings in Kayonza, sponsored by UNDP and Rwanda Meteorology Agency. 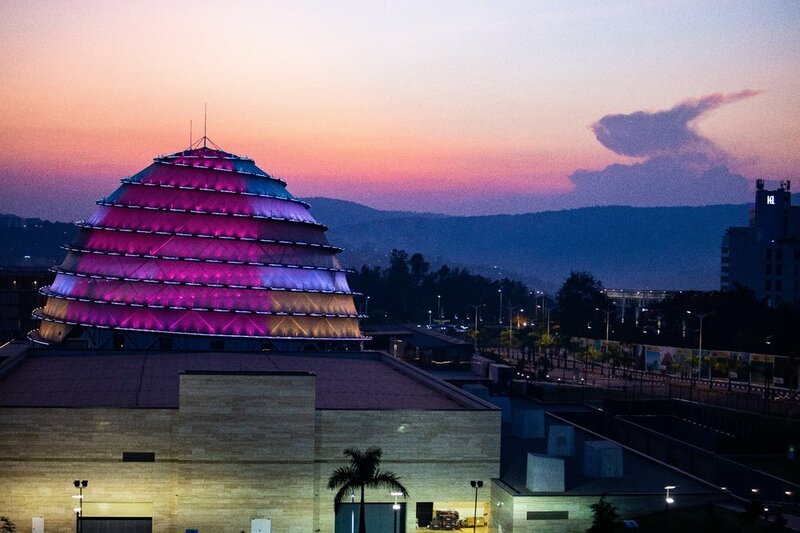 The newly-built Convention Centre, shining over Kigali’s hilltops at night, is but part of the carefully designed scenography Kagame’s administration has been putting in place to drive the international opinion towards buying into a new perception of the country. The commitment to making Rwanda a middle-income economy within the end of the decade has been widely discarded as a dream but the strife to improve socio-economic conditions and prepare the country to foreign investment are evident. Among the latest initiatives to drive in this direction is the agreement signed in July between Andela, the hot African startup of the moment – which counts with the Chan Zuckerberg Initiative among its investors – and the Rwandan government for the establishment of a Pan-African hub for software development. Similarly, Paul Kagame’s attendance of the Paris-based Viva Technology, a globally recognised technology gathering, came in conjunction with the announcement of two investment funds: the 100$ million Innovation Fund by the Rwanda Development Board and dedicated to start-ups, and France’s $76 million African Startup Fund. Rwanda's entrepreneurial ecosystem remains young - especially in comparison to Kenya or Uganda's ones. There is only a handful of truly active players. In addition to Impact Hub and KLab, Westerwelle Foundation, co-founding organisation with Enpact e.V. 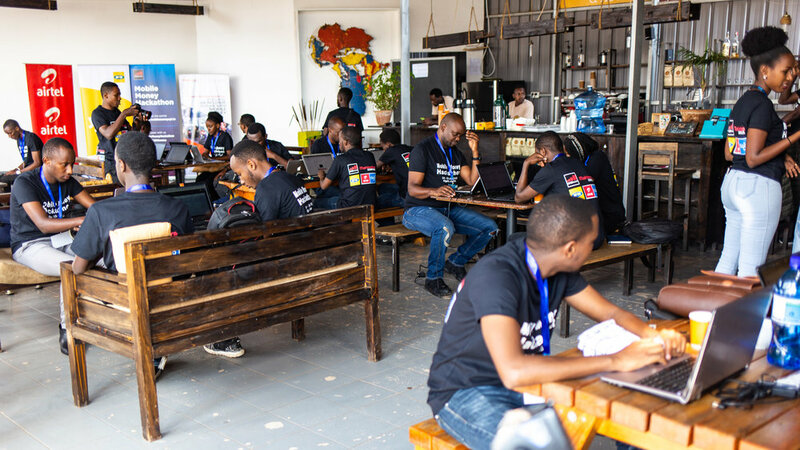 of Tunis' Startup Haus, recently launched Kigali's homonymous space, a new co-working space in the heart of the capital - which hosted this summer's Seedstars competition as its inaugural event. The investment landscape, especially for early-stage start-ups, is still nascent, and the size of Rwanda's market tends to keep large capital away. Yet, the implementation of pro-business laws has paved the way to investors, as shown by the recent launch of Sobek Capital, a new venture capital fund who aims to support small entrepreneurs with check sizes between $10,000 and $250,000. View over Kigali's Convention Centre from Westerwelle Startup Haus' rooftop terrace. Those who question Rwanda's improvements discard them as cosmetic and driven by the government’s obsession to portray an image of success rather than to lay the foundations of lasting economic growth. Indeed, Rwanda still faces significant endogenous challenges related to both to its socio-economic history and its natural endowments. Yet, the questions that remain are not about its past but rather about whether the dramatic improvements registered during Kagame’s rule will have laid the ground - read human and institutional capacity - for sustainable growth and global competitiveness. Will a country who has not yet transited to being knowledge or industrial economy be able to cope with regional powers and position itself as the player it promised to be?